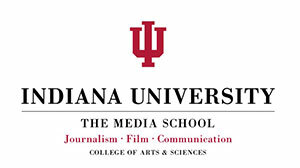 Students follow the requirements included in the Bulletin and Supplement published in the year they first enrolled (matriculated) as a degree-seeking student at Indiana University (any campus). For instance, a new freshman beginning at IUB in the summer or fall of 2014 will be held to the requirements laid out in the 2014-2015 Bulletin of the College of Arts and Sciences. For questions regarding which Bulletin or Supplement to use, please consult the College Recorder's Office, (812) 855-1821 or coasrecd@indiana.edu. The requirements outlined in the Bulletin or Supplement in effect at the time of your matriculation will remain constant throughout your time in the College, assuming you graduate within eight years. **College of Arts and Sciences Bulletins were formerly printed on paper in an alternating two-year cycle of full-length Bulletins and abbreviated Supplements. Supplements listed only the policy, course, and requirement changes that occurred in the alternate year in a two-year cycle and did not reprint the information that was unchanged since the publication of the last full-length Bulletin. Students had to consult both the Bulletin and Supplement to access complete information. Since 2010 the College has moved to a yearly Bulletin cycle, and the official version is published once a year, online, in the month of May. Although the Bulletin is no longer printed, the online version includes PDF print functionality.